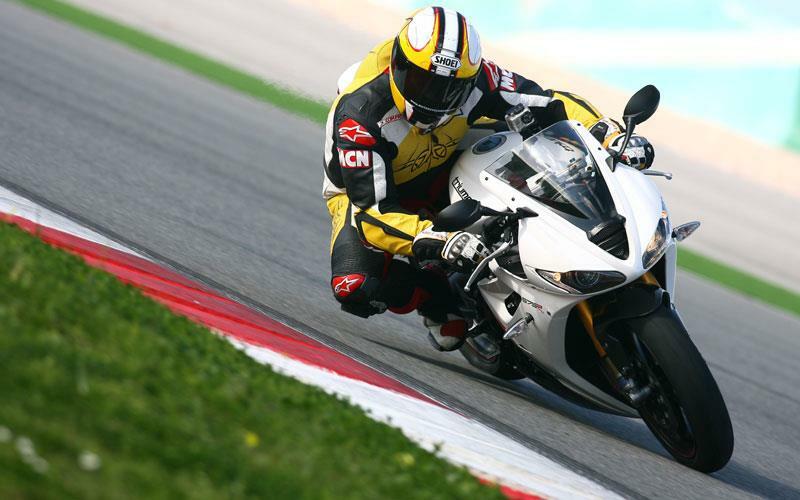 The Triumph Daytona 675R is simply a Daytona 675 with lots of very desirable goodies to make it a track day weapon and, in the right hands, a formidable tool on the road. The 675R boasts three major add-ons. First, white paint and red powder-coated subframe. Second, front and rear suspension from Ohlins. Third, Brembo race-spec monobloc calipers and master cylinder. Here's some of Trevor Franklin's thoughts: "Lightweight, balanced, agile... think of every superlative to describe a stunning, slim chassis and it's probably been said about the Daytona 675. For this reason it really is difficult to convey how much better the 'R' version really is." To read the full test, pick up a copy of this week's MCN, out now.